I crave chocolate—a lot! Don’t we all? Unfortunately for some eating chocolate can be a headache or migraine trigger and in my case chocolate makes me break out! Not fun or pretty! 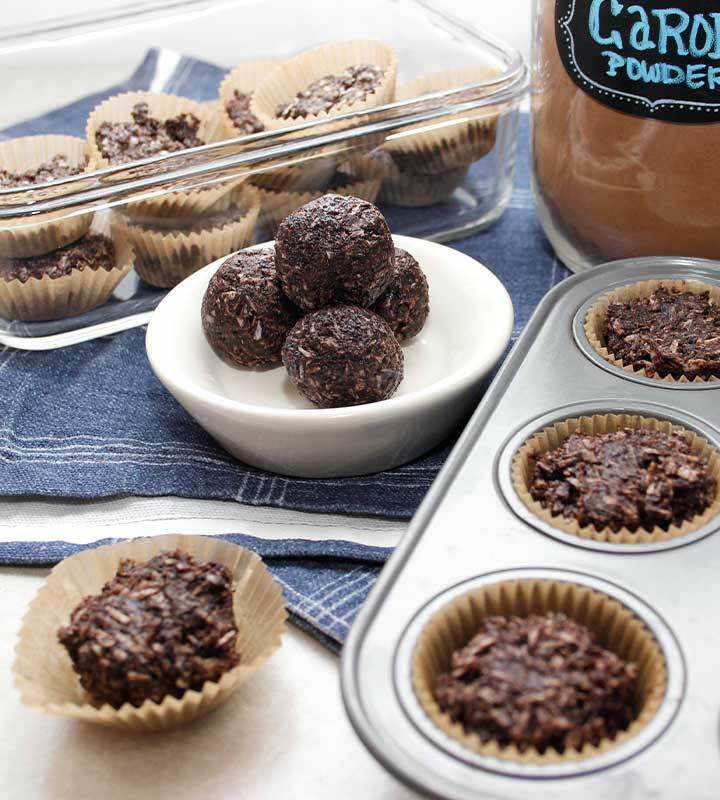 That’s when these Raw Coconut Carob Treats—aka fat bombs—come in really handy, especially just before that lovely time of the month! Enjoy one, or two, as a snack or decadent little dessert. Click the read more button for the recipe and quick how-to video! 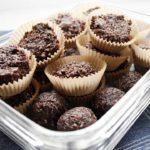 Fat bombs (also known as fat fudge or keto bombs) are popular right now because of certain diets that promote them. 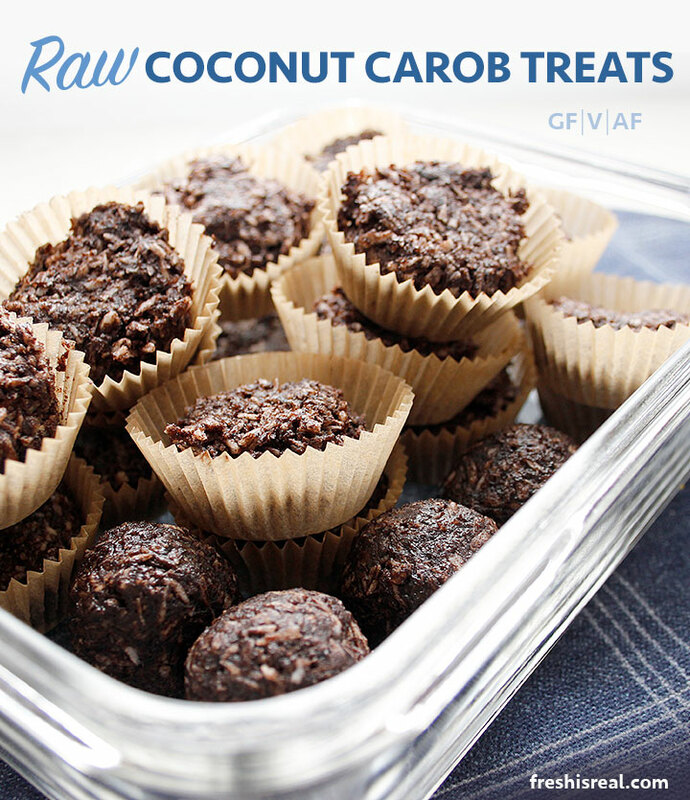 These Raw Coconut Carob Treats, which are made of excellent quality raw, cold-pressed, organic coconut oil, are a great snack! Enjoying a couple can help curb your sweet cravings while providing your body with some health benefits. Consuming coconut oil can give good HDL cholesterol a boost while reducing bad cholesterol. It also contains antioxidants that can decrease oxidative stress. If consuming chocolate is also problematic for you, consider trying carob. Carob is a wonderful chocolate alternative. It’s made from dried, roasted carob tree pods and the powder looks a lot like cacao powder. 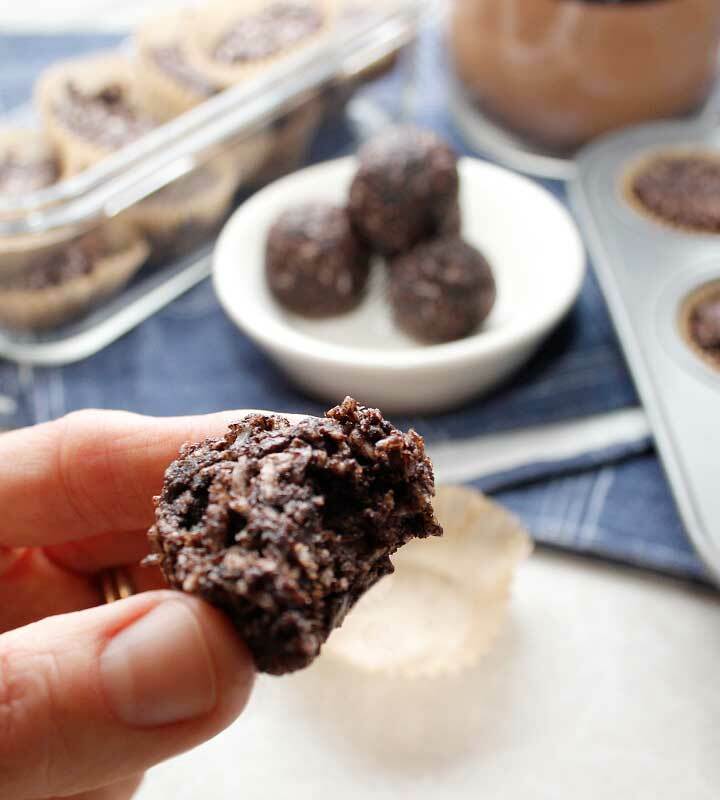 I’ve tested various ways to incorporate carob in recipes and these Raw Coconut Carob Treats and my Banana Carob Breakfast Cookies are my favourites. You can also add carob powder to smoothies, in puddings, hot carob beverages, brownies and so much more. You will appreciate that two tablespoons of carob powder contains iron, magnesium, potassium, riboflavin and niacin. Most importantly carob is caffeine-free, naturally gluten-free, plus a great source of fibre and antioxidants. 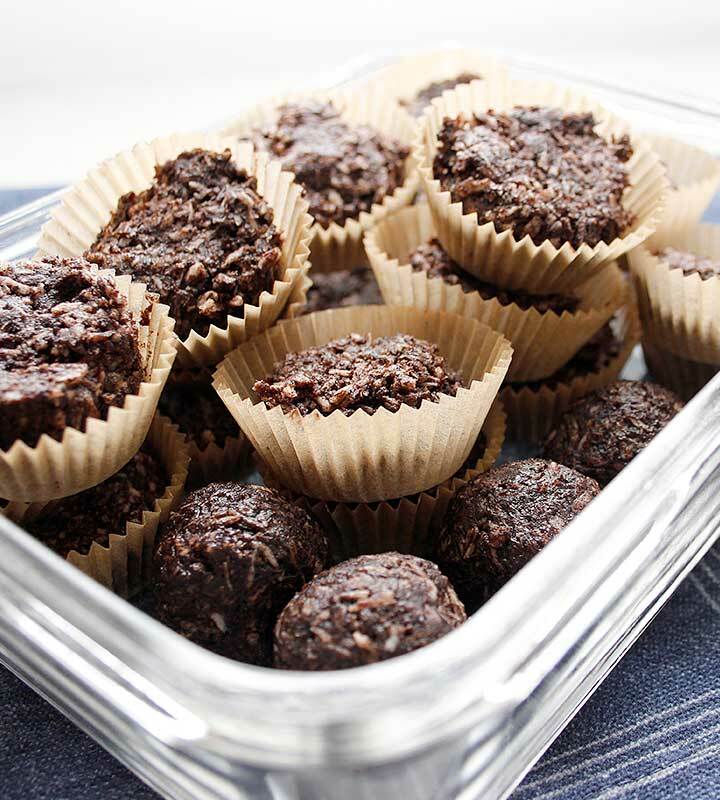 This Raw Coconut Carob Treat is top 8 free so completely allergen-friendly! For example, if you’re looking to make a gluten-free, egg-free, nut-free and dairy-free snack these will be perfect! It does contain coconut oil and unsweetened shredded coconut but coconut is not an actual nut. It’s classified as a fruit. If you’re not sure about consuming coconut products, because you have allergies or sensitivities, consult your family doctor or medical professional for their opinion. First and foremost, to make this recipe, you will need good quality coconut oil. For this recipe I used this one from Silkeny, it’s smooth, raw, cold-pressed, Non-GMO and certified organic. It’s also a great moisturizer if you run out of lotion! The addition of unsweetened shredded coconut adds the most perfect crunchy texture to these bites. If you love coconut as much as I do, you should like this treat! Finding an organic brand of carob powder is highly recommended as you want to make sure you have quality ingredients. Keep in mind that if you don’t have problems with chocolate you can also use raw cacao powder for this recipe. Just before mixing the main ingredients together adding a little maple syrup, great quality sea salt and cinnamon transforms this simple treat in something indulgent! My last creation was The Best Gluten-Free Vegan Gravy recipe. 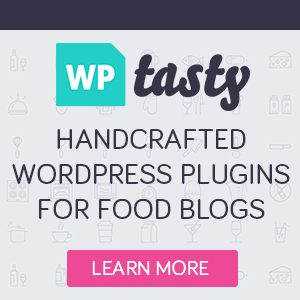 If you haven’t tried making homemade sauce yet, print out the recipe and get shopping! 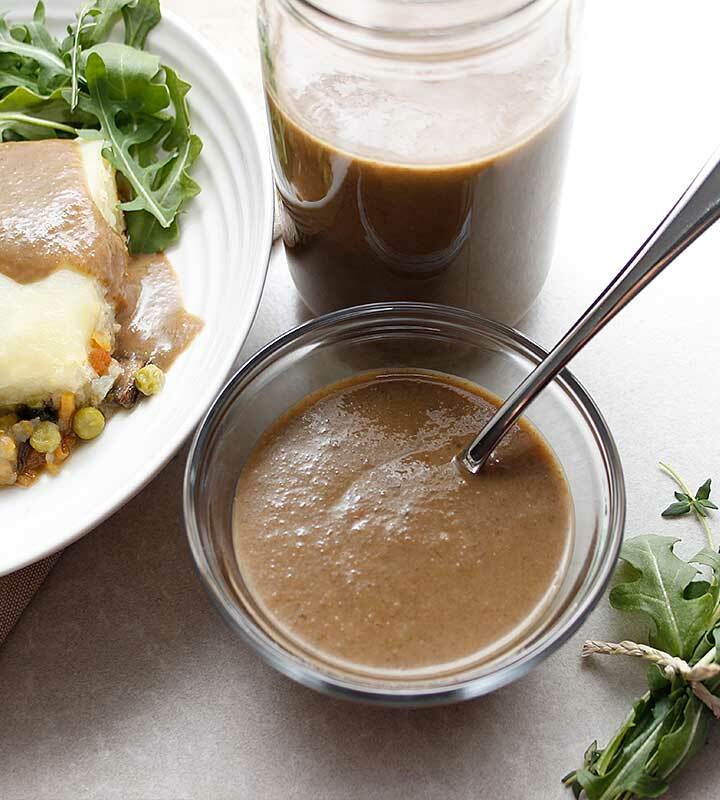 It’s so deliciously comforting to enjoy with plant-based meals but especially good with roasted or mashed potatoes! One more thing, let us know what you think of these fat bombs! Comment below and rate the recipe.